Kids can learn about culture, geography and more with a range of free social studies activities. This activity shows you how to make simple Native American headwear. 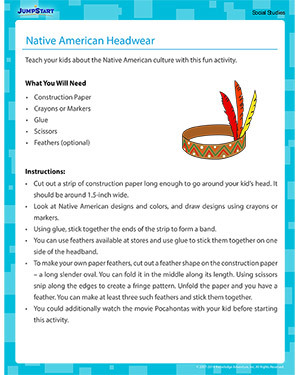 You can use this activity to teach your first grader about Native American customs.